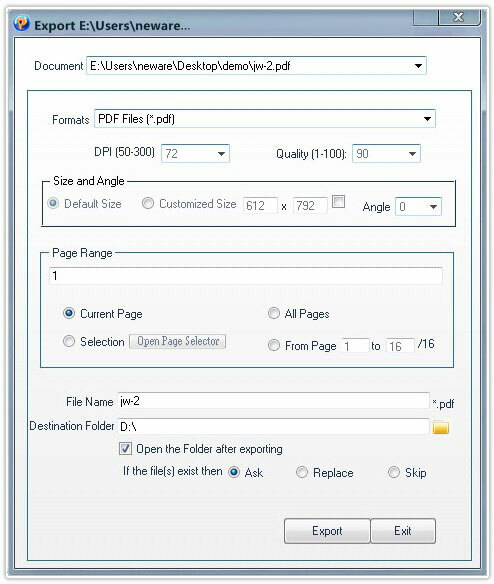 PDFCool Studio allows the user to export the whole or portions of the pages of a PDF document as a new PDF document or images. 7. Click on the Export button to finish.